The voluntary anti-piracy agreement between anti-piracy groups and ISPs in Portugal has resulted in more collateral damage. The country's piracy blocklist was recently updated with a non-existent domain name, presumably after one of the parties involved made a typo. In recent months Portuguese Internet providers have started to block hundreds of websites that allegedly link to copyright infringing content. The voluntary blocking regime was formalized last summer through an agreement between several parties including the Ministry of Culture and the Association of Telecommunication Operators. 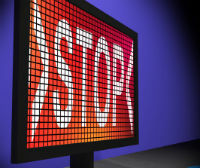 The agreement allows copyright holders to add new pirate sites without any intervention or oversight from a court, something which has now led to some unusual blocks in recent weeks. Aside from barring sites on questionable grounds, it appears that a simple typo can also get a website blocked. 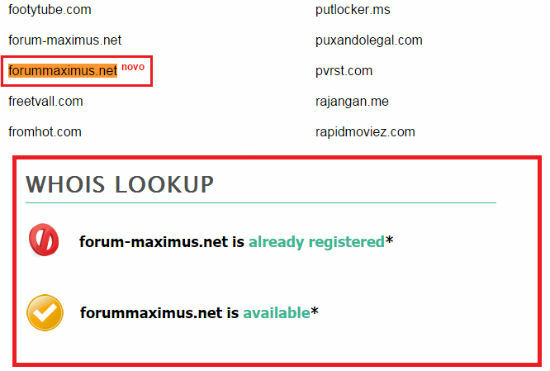 A few days ago a local news site spotted that one of the blocked domains is Forummaximus.net, which didn’t even exist at the time it was added. Copyright holders were probably trying to block Forum-maximus.net, with a hyphen, but somewhere in the process someone made a mistake. As a result, Portugal’s blocklist included a domain that wasn’t even registered at the time. After the news broke someone eventually registered the URL, but without any infringing purposes it seems. At the time of writing the correct site has been blocked as well, but the ‘typo’ error has yet to be corrected. In this case the collateral damage is limited. However, it’s worrying that the lack of oversight from a court or third party organization can result in non-existent domain names being blocked. It’s a fine example of how slippery the blocking slope can get. TorrentFreak has reached out to local anti-piracy group MAPINET, who investigate the sites that are reported, to find out more about what went wrong. Thus far we haven’t heard back.